How often do you feel as though nobody really listens to what you have to say? When was the last time you thought to yourself, "if only the people in charge had talked to me" ? Well recently I had an opportunity to share my voice with some pharmaceutical executives. 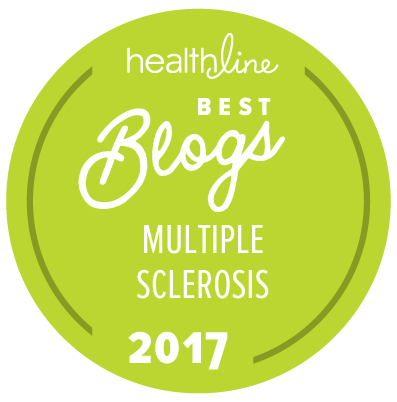 After reading a few posts from right here on this very blog which discussed a drug, yet-to-be FDA approved, for use in multiple sclerosis, the Vice President of Corporate Communications at Acorda Therapeutics, Inc., Tierney Saccavino, emailed me. "I have checked out your blog periodically, and I have found it to be articulate, well-written and thoughtful. I’ve been impressed with the detailed research that has gone into your posts." This wasn't the first time someone from Acorda had contacted me. In May Jeff Macdonald from the communications office emerged from lurking long enough to inform me that Acorda would soon be announcing results from the second Phase III drug trial testing Fampridine-SR in treatment of multiple sclerosis. "I saw your post from last week [ed. May 14] about getting “pitched” by a PR person, so completely understand that you might be wary of another call. 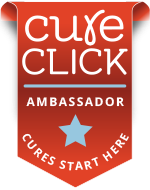 That said, I’d really like to talk to you about what we’re doing, what you’re doing and get your thoughts about how I can work with MS bloggers while being respectful—I completely understand that a lot of folks will not be interested in communicating directly with someone from the pharmaceutical industry." In my email response, I asked lots of questions including some related to Acorda's motives in contacting me. The email reply I received seemed too short and dodged my pointed questions. [Note to self - When reading email responses, scroll down through the part of the sender's email which includes your original message. You might find that the responder has added answers to your questions WITHIN THAT space.] I didn't discover that Jeff had provided answers to my questions until roughly a month later as I was cleaning up my inbox. But before simply posting information regarding results from a Phase III drug trial, I wanted to know what exactly we were talking about. I researched the drug Fampridine-SR (a patented sustained-release formulation of 4-Aminopyridine). I researched the research on said drug in its use in spinal cord injury and multiple sclerosis. I also researched Acorda and its Founder/CEO/President Ron Cohen. I wanted to make sure that any information I presented was accurate. "We've been very impressed with the thoroughness and with the detail on your blog," said Dr. Ron Cohen, CEO of Acorda. This was said at the beginning of a two and a half hour phone conversation which took place July 17, 2008. I found myself listening to Cohen's firsthand account of how he chose medicine, then how he came to be in the biotech field. You can find much of this story in The Bioentrepreneur and Fampridine. Something I did learn was that his father was a physician and his mother was a classical violinist. What Cohen learned is that published material which might have thought to be long-forgotten can be found in this age of vast digital repositories of information and clever researchers (me). With that said, I felt fairly confident that my research was accurate and that I had a reasonable grasp of the information regarding Fampridine-SR which I've shared in previous posts. However there were questions not answered by simply reading the literature and press releases. I had an opportunity to ask some of those questions and the execs had an opportunity to listen to my opinions, perceptions, and learn from my experiences as a patient with multiple sclerosis. 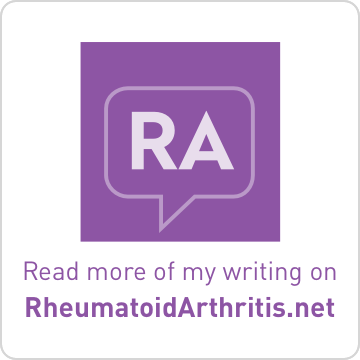 Please note that this post is in no way an endorsement for Fampridine-SR nor for Acorda. It is an extension of the information previously shared regarding these topics and questions which a few readers had posed in addition to my own. In MS there are three types of pharmaceutical treatment commonly in use: disease-modifying, exacerbation rescue, and symptomatic. Fampridine-SR does not change the course of the disease nor does it diminish the length or intensity of relapses in multiple sclerosis. Thus Fampridine-SR is a symptomatic treatment which helps to improve nerve conduction in demyelinated areas of the central nervous system in some patients. (Yes, I'm using qualifiers cause, well honestly, nothing works for everybody in the same way.) It does so by plugging some of the holes through which potassium ions escape in damaged nerve fibers. It does not remyelinate, it temporarily plugs the holes at the individual nerve fiber level to allow more electric current to flow through the damaged areas as long as the nerve itself is not dead. When asked about possible drug interactions, Cohen responded that they have not found indication of drug interactions. "90% of the molecule is not metabolized and thus excreted. It is not competing with the same enzyme [of other drugs] nor inducing the same enzyme." What about trial participants/patients with cardiac issues? "With 1500 people in all trials dating back to the '90s [ed. pre-Acorda involvement], there has been no indication of a relationship of fampridine with any cardiac events." The FDA requires that clinical trial drugs undergo a thorough QT study. Acorda completed a 200-patient QT study in 2007 which showed that Fampridine-SR doesn't affect heart rhythm. Have you found that fampridine causes potassium levels to fluctuate? "There is no association with potassium levels. No mechanistic or theoretical reason to as it is not changing potassium in the blood. It is blocking the molecular potassium channel, one out of hundreds, and has nothing to do with potassium in the body." Did you eliminate any trial participants due to an increased risk of seizure? For the inclusion/exclusion criteria, patients with a history of seizure were excluded as were those with EEGs which showed epileptic foci. No MRIs were conducted to determine if a patient had substantial cortical-subcortical lesion load which might have a seizure focus. When asked if seizure risk would be a contraindication, Cohen stated that they will discuss that with the FDA. When asked about long-term side effects, Cohen provided lots of statistics regarding number of participants in the various trials and number of people who have continued on long-term safety studies, currently at 500 people. Common side effects have included dizziness, insomnia, tingling, nausea, light-headed. The most common side effects in the recent trial were urinary tract infection and falls. Acorda is currently analyzing data from all trials to develop an integrated summary of safety which apparently is a rather involved process. Why the 25-ft timed walk? Why not a 500-meter walk? Or how about measuring walking steadiness not speed? I believe that MS patients could undergo a timed walk five times in a row and get five different results. Such is the variability of multiple sclerosis. This is a major problem I had with the trial description and one of the first questions I asked Jeff Macdonald back in May. Cohen shared that the biggest challenge in designing the trials came from trying to show exactly how patients were benefiting from the drug and then determine how to prove it. In order to identify the specific benefits, Andrew Blight, now Acorda's Chief Scientific Officer, traveled to ms centers around the country and interviewed patients, patients' families, doctors, and nurses to help formulate the hypotheses related to the drug. What Dr. Blight was told was that patients using 4-AP experienced improvements with stamina, fatigue, visual, bowels, and strength. The most frequent benefits related to walking, strength, and stamina. Again why the 25-ft timed walk? "In the literature there is research regarding the use of the 500-meter walk, the 6 minute walk, and the 25-ft walk. Centers had tested these methods and found there was an extremely high correlation between the 25-ft walk and the long walks." So the 25-ft timed walk has become the "gold standard." What about the variability in walking in MS patients? For me, I can start out a little stiff going at a moderate speed. Then I hit the wall so to speak and things slow down to molasses with 50-pound weights attached to each leg. But if I stop and rest until I can feel my legs again, I can walk again often more easily than I began. Cohen replied, that in the placebo group in walks that were measured over 21 weeks, they found that the natural variability was up to 70%! "The issue is not the amount of change, consistency is the real issue. MS is characterized by inconsistency. If you have a treatment that is really doing something, it ought to show that it is doing something consistently over time." said Cohen. So Acorda devised an algorithm to show consistency which they plan to publish separately because they feel it is an important method to use in measuring consistency over time. Note: I may come back and insert a description of the methodology. But for now I'll move on. What does the 25% improvement in walking speed mean for me in my life? Cohen responded that the FDA recommended another test to show that the improvement was meaningful to the patient. In the UK at Kings College, they have developed the MSWS12 which is a 12-Item MS Walking Scale questionnaire related to daily life activities that rely on ambulation. When comparing this questionnaire with a battery of other tests, the MSWS12 correlated highly with other clinically relevant instruments. The FDA required Acorda to show that the timed walk benefit for responders correlated with the MSWS12 scores which they said it has. One other test they used was the LEMMT which is the Lower Extremity Manual Muscle Test. MSers you know the one where your doctor asks you to resist their pushing on your legs in various directions. Cohen said that with improved scores on the LEMMT it showed that the drug is working the way it was thought to work. He added, "Overall, many people who take the drug are demonstrably better, even spasticity was improved even though we didn’t recruit people based on spasticity." Earlier in the teleconference, I had asked about the company's decision to focus on multiple sclerosis rather than continue to place focus in spinal cord injury? 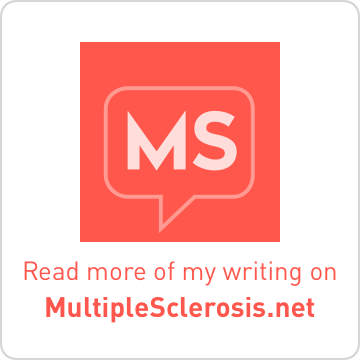 "MS is an overlapping condition with SCI. They both address the need to restore neurological function." and that focusing on MS fits "squarely with the mission statement." How much did the booming market for MS drugs in the past 10 years affect their decision to move forward in phase III trials for MS? "We’re targeting orphans. If you have something that really makes a difference, it will find a market and provide a good return on investment. In the 1990s, other drugs came out, so we didn’t have to fight a battle to get investors interested." Cohen also explained that when he first decided to focus on SCI that he was advised against it. He was told that the "market is too small." Although he didn't say it directly, it was implied that the larger MS market certainly did affect their choices. High risk, high reward. Finally the most important issue to me: Cost? I started taking Baclofen for spasticity which works well, helps my walking ability, and is cheap. Why would a patient want to switch? "You may not want to and that's fine. It is important to distinguish the drugs. Baclofen is for symptomatic effects. It's a mixed bag. Fampridine-SR is a drug that improves conduction." In the trials, 60% of the participants were taking immuno-modulators. The vast majority had to be walking disabled which EDSS score of 5.5-6.0. Others had EDSS score as low as 2.5 and we found that they could benefit from drug regardless of baseline walk. When asked about Patient Assistance Programs, Cohen said they are interested in establishing a PAP and will be working closely with NORD (National Organization for Rare Disorders). They are looking to model it after their program for Zanaflex which provides coupons to help patients with drug copay. Here is where my voice was heard!!! I shared my experience with various assistance programs and explained how my insurance works (or better yet doesn't work well). I described how my income was too high for help with Copaxone in 2006 and how my income had to reach below 200% FPL to fully qualify. I described how I am disqualified for help with Provigil because I have insurance although it may be exhausted. "These are excellent education points for us." "Our goal is make the drug as accessible as possible and must balance that against other imperatives. Shareholders comprise …. If people don’t have access to the product, we’re not fulfilling our mission. Our commercial team is working on this." "Wider issue with our health insurance system, especially for those who take expensive drugs for chronic disease." "It is frustrating to the company as well. And how to fairly compensate investors and shareholders for taking the risk." "Love to hear more from you as part of a constituency panel of patients, insurance, doctors, etc." So how about that? Not only has my voice been heard online, it may be heard in person as well. If that helps to make sure that all patients have access to the drug without great out-of-pocket expense, then I will have made a difference for others. I've often thought that I've gone through such financial struggles and disappointments for a reason. Maybe that is the force which is driving me. I sincerely don't want other patients to have the same experiences I've had. We don't need that stress and certainly don't need the insecure financial future which comes with it. Before ending the two and a half hour conversation, I asked a bold question. What have you done with the proceeds from selling your stocks which has totaled $6.7M since October 2006? Cohen replied that some went to gov’t and other paid for options, pay off mortgage held in cash, renovation, education accounts for the girls, 8 and 6, and diversified. I shared that I dream of owning a house someday. At the end of the teleconference, Cohen invited me to come up to the company and share my thoughts with his team, perhaps as part of that constituency panel. What do you think dear readers - Should I share more of my thoughts with a pharma company who actually wants to listen and who was apparently shaken up with my personal take on some of their pre-launch activities? As always, please leave your thoughts below in the comments. I look forward to hearing what you have to say. I am going to re-read this when I am at home and have more time for thinking but initially, I think it is very cool and would totally take them up on an in-person discussion. You are really making a difference. I like the way you hold up and provide unbiased info even under all the praise. Thanks for fighting the good fight. Can you hear me CLAPPING OUT LOUD 3,000 miles away?!? BRAVO, BRAVO, BRAVO!!!!!!!!!!!!!!!!!! I work for the government. I rarely APPROVE of what my government does, nationally or locally, yet "they" sign my check. I can only hope/believe that my work WITHIN a government agency is making a difference to someone. I am the kind of person who would sleep with Hitler to save one Jewish person...dust myself off...and know in my heart I have made a difference. I'm not encouraging you to SLEEP with anyone at Acorda, however! LOL But go ahead and make a difference if the opportunity is there to do so. They finally stopped lurking. It was wise of them to reach out to the founder of the MS Carnival that connects MS'ers who blog. Continue to keep your research honest! I notice I have pharmaceutical lurkers when I talk my experience my negative reactions from prescription meds. Most excellent! Take them up on thier offer. Your research has meant something to them from afar. It can only mean more up close. Kudos to them as well for at least listening. afford disease-modifying meds, or must pay high copays each month. This symptom-suppressing drug sounds like a blessing for many (maybe take less or no Baclofen, Neurontin, etc?) But if it costs a fortune for people with little or no Rx coverage, then what? I'm now qualified for Medicare coverage, but I'm wary about getting Part D (Rx coverage) because of the yearly maximums. Might have to stay on my husband's Rx plan (pricey), because it at least covers Betaseron in full. Go have your say. And you will be a homeowner someday (I'm from "the glass is half full" camp....) Good karma begets good karma. You will find no bigger skeptic than I, but I agree w/Linda (I too was govt employee, but wouldn't sleep with Hitler...unless I had a hidden knife...I digress)---there are still holes, but a drug co. reaching out, can't be all bad. Keep your friends close and your enemies closer; the inside info you might get would be priceless and if you help them to help us, bith will gain and perhaps set a good example for other drug researchers and companies. You are my hero. Go forth and keep your eyes wide open. You give me hope that WE CAN be heard. Thank you. Thanks so much guys for all of the support. You've made me smile greatly. When the opportunity arrives, I think I will go talk to them especially if it will help make the drug available to ALL folks regardless of insurance status. Diane, I asked about the legs only thing. Basically they are aware that MSer find other benefits but that was the only chosen endpoint. Easier to test and easier to prove efficacy. If they didn't test other stuff, then they can't claim that it helps that other stuff. But of course, patients are free to say whatever they wish about the drug and it's benefits. A couple of highly vocal trial participants actively tout the benefits and sing the praises on Patients Like Me and some other message boards. Actually, I found that to be a bit too much. Too evangelical. But then again, I'm pretty evangelical on a few topics myself. You know me, a true skeptic who doubts motives. For example, on Patients Like Me there is someone who is telling a tale of her doctor prescribing 4-AP (which is basically the same as this drug but gotten from a compounding pharmacy) for a recent relapse. She is journaling her daily experience in a thread of the forums. I find it extremely unlikely that this drug would be a substitute for going under steroids. They are presenting the detailed results from the study at the World Congress conference in Sept in Montreal. I truly wish I could be a fly on the wall when neurologists are able to question the data.